Apr 13, 2019 6:00:00 PM / by Rusty G.
Sell an ATV the easy way, get your free cash offer. Sell an ATV or trade in dirt bikes the easy way. Get a free cash offer for your off-road vehicle! After all, finding the ideal machine is only half the battle; customizing it to meet your riding needs and your personality is the other. In case you’re new to powersports, I’d like to spend some time exploring all-terrain vehicles (ATVs) and some of the popular ATV mods and four-wheeler accessories on the market. I’ll warn you, though, some of these accessories might look sick on your custom ATV, but whether they’re covered by your warranty or not is another question entirely. I just bought my first ATV. What’s next? If you’re comfortable getting to know your ride before getting to the nitty-gritty of customizing it, then do that. Otherwise, take some time to ask around, and do some research on how you can begin making your ATV feel like your own. It’ll be time well spent, I promise. I’ve decided to customize my ride! What’s next? You’ll want to determine the pros and cons of your endeavor before you make any investments. Why? Because some of these shiny new ATV accessories might end up coming back to bite you in the, well, you know, down the road. 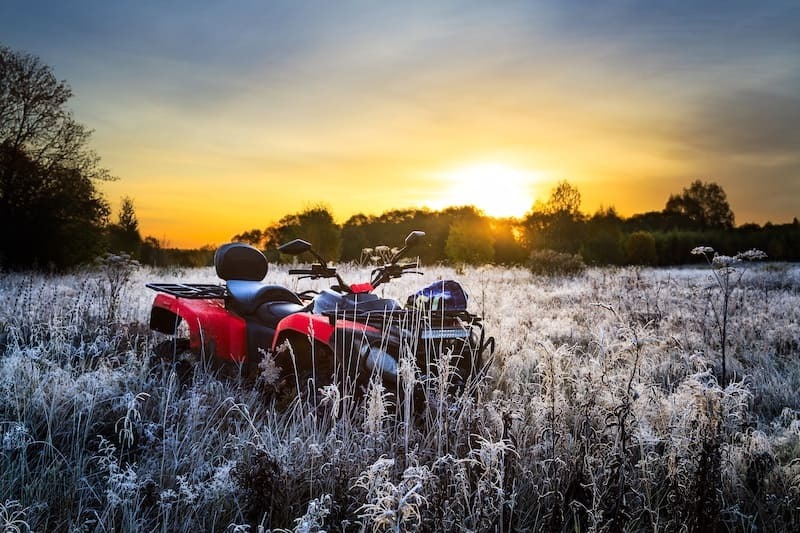 Don’t be one of those overzealous first-timers who spends loads of time tricking out his or her ATV, only to find out they’ve just voided the manufacturer’s warranty. Which custom ATV mods put me at risk of voiding the warranty? Kawasaki: “Repairs performed by, and parts and service received from, an entity other than an authorized Kawasaki dealer” are excluded from coverage. You might be surprised to learn Kawasaki’s warranty plan doesn’t cover Kawasaki-made products engaged in racing or competition. All of this is to say that when it comes to ATV supplies and accessories, you’d be doing yourself a favor reading the fine print. 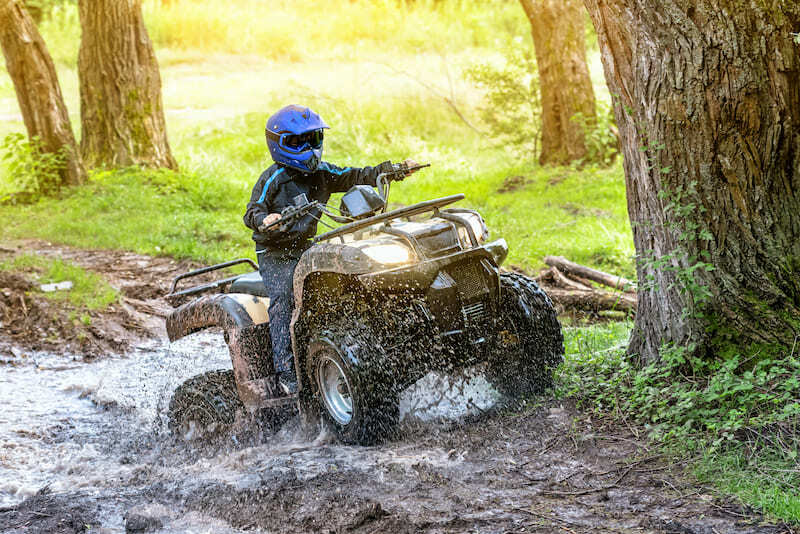 Even knowing the Terms and Conditions before you invest in an ATV could help you determine which brand is the best fit for you and your riding needs. Fair enough. So what are the best ATV mods and accessories? Tires and wheels - these are often not covered by the dealer warranty, so keep that in mind when you purchase. Also, make sure the tires you buy aren’t too big; sure, bigger tires mean a bigger presence, but you could end up doing damage to your vehicle’s fenders this way. Handguards, chassis skid plates, and/or swing-arm guards - these are all designed to deflect the elements (wind, mud, rocks, and other debris) from the undercarriage of your ATV. It’s important to protect the underbelly of your ATV, else you’ll be out of commission and potentially face a long walk home. Nerf bars - these provide a base that protects the rider’s foot and ankle from coming into contact with any elements, rear tires, or other riders who might be along for the ride. Keep in mind, nerf bars are typically used for competitive riding purposes. Airbox lid and/or Jet Kit - these help increase your ATV’s performance by i) keeping debris out of your engine and increasing airflow and ii) ensuring the fuel-to-air ratio is optimal. Aluminum folding ATV ramps - these are not only portable but much safer than the wooden planks some people use to transport their ATV. Some folding ramps can handle as much as 1,500 pounds of load, which is ideal since the average sport ATV weighs about 500 pounds (and that doesn’t even include any accessories you might’ve added). Flat tire repair kit - the name speaks for itself in this case, but it’s a great ATV accessory to have all the same. Make sure it’s portable, though; you don’t want anything weighing you down while you’re riding! My advice: if you’re buying a new machine and know you’re going to want to install some ATV accessories, consult your dealer and see if they can install them before you take it home (make sure they’re warranty-approved, first). There might be a small labor charge, but there will be less headache for you down the road! RumbleOn welcomes trades. Get your free cash offer! Want to trade for a RumbleOn Ready dirt bike or ATV? Get your trade-in value in minutes!